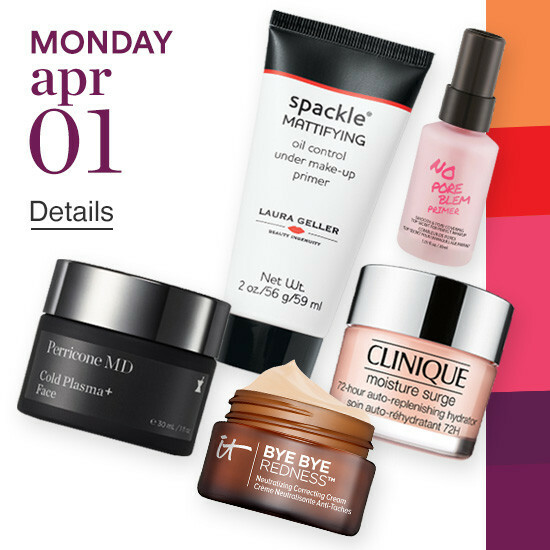 Set includes: A great way to try this amazing skincare line! - Water Drench Cloud Cream Cleanser (1 oz. ): a nonstripping, fragrance-free cream cleanser that gently removes makeup, excess oil and impurities while moisturizing skin with pure water vapor drawn from the clouds. - Cucumber Gel Mask (0.47 oz. ): a refreshing, cooling, moisturizing, calming gel that helps soothe dry, irritated skin. - Water Drench Hyaluronic Cloud Cream Hydrating Moisturizer (0.67 oz. ): a cream that reduces the appearance of fine lines and wrinkles, leaving skin silky, hydrated. and more youthful-looking. - FIRMx Peeling Gel (0.5 oz. ): a peeling gel that visibly rolls, lifts and sweeps away dead skin cells when massaged onto skin.